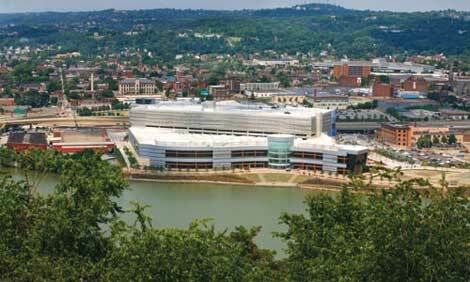 The Rivers Casino is located along the North Shore, a short walk from Heinz Field and PNC Park. It opened in August 2009. 30 table poker room - 8,457 sq-ft poker room, dedicated 24 hour food service. Includes Limit and No Limit Texas Hold'Em/ Omaha hi-low. Grand View Buffet - lunch 11:00am to 3:00pm, dinner 3:00pm to 9:00pm. Levels - multi-tiered lounge overlooking casino floor.